Bring out the Christmas lights, tree, presents and wrapping paper because now that Thanksgiving is over, the holiday season is in full swing! Actually I think I saw Christmas trees already being displayed in Michaels in September, but now we can officially focus on the season! 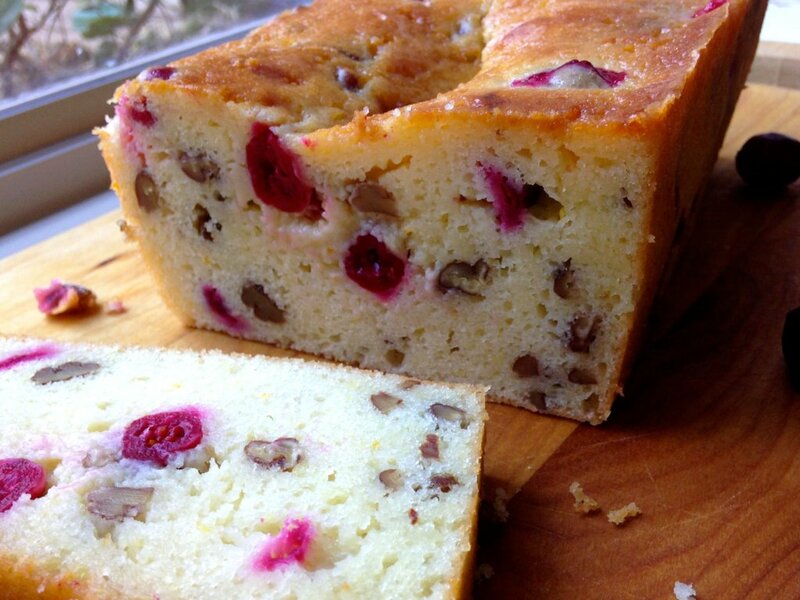 To celebrate all the festivities, each year we like to make a dish using cranberries such as cranberry scones, or cranberry nut bread. 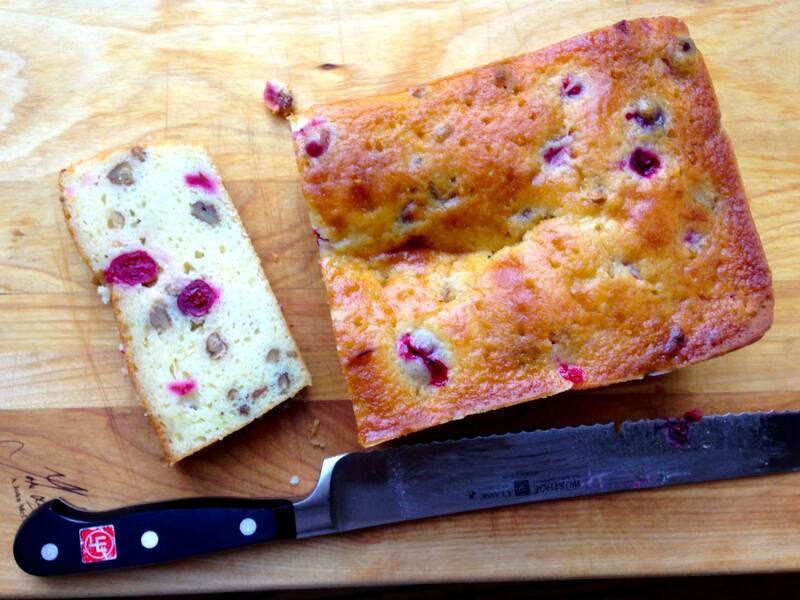 This year I decided to jazz up our cranberry quick bread by adding an orange syrup glaze and yummy Noosa Yoghurt! 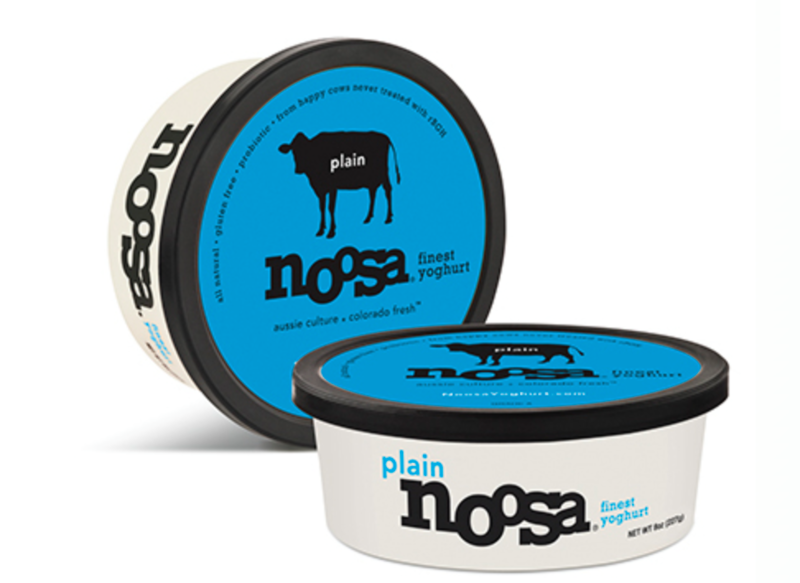 Noosa Yoghurt reached out to me with some of their Aussie style yoghurt to try, and let me tell you… it’s amazing! Their yogurt is thick, creamy and velvety, and in addition to eating it straight from the container, I wanted to create a recipe with the delicious yoghurt. 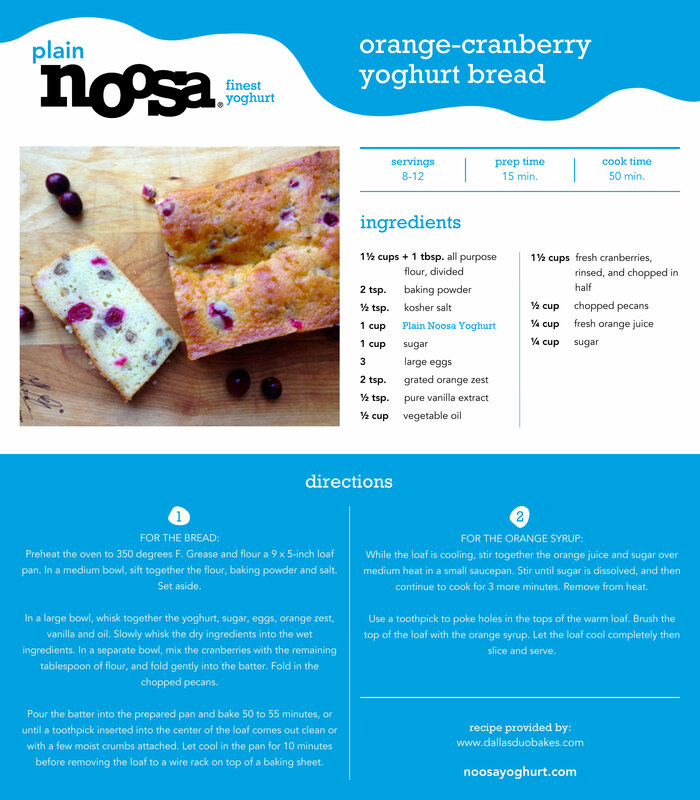 Orange-cranberry yoghurt bread is just the recipe. I used plain flavored Noosa yoghurt, but a list of all Noosa flavors are HERE and include pumpkin, blueberry, mango, strawberry rhubarb, coconut, and more! If you’ve ever sunk your teeth in a piece of dry, plain, unflavorful bread, I feel your pain. 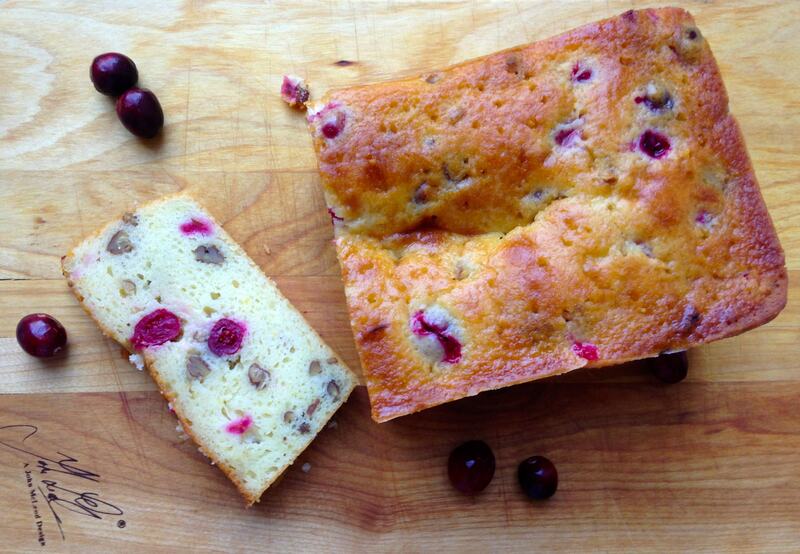 This bread is extremely moist as sweet, as delectable orange flavored syrup is drizzled over the bread for a wonderful combination of sweet and tart cranberries. I’m a sucker for sweets, so I drizzled fresh local honey on top as well. I know… sugar is my weakness. But hey, local honey builds immunity, right?!! Seriously though, I think I demolished this bread is less than 48 hours. Soo good! My whole family enjoyed it, and it will be on our holiday menu each year. FOR THE BREAD: In a medium bowl, sift together the flour, baking powder and salt. Set aside. In a large bowl, whisk together the yoghurt, sugar, eggs, orange zest, vanilla and oil. Slowly whisk the dry ingredients into the wet ingredients. 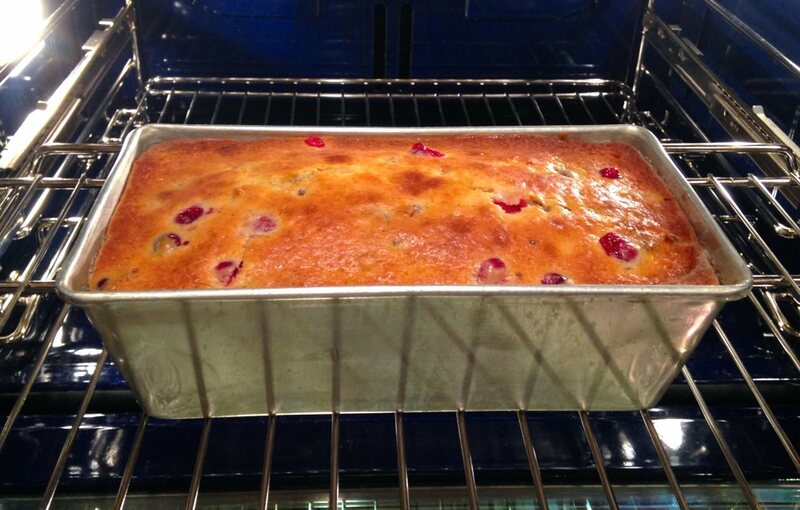 In a separate bowl, mix the cranberries with the remaining tablespoon of flour, and fold gently into the batter. Fold in the chopped pecans. Pour the batter into the prepared pan and bake 50 to 55 minutes, or until a toothpick inserted into the center of the loaf comes out clean or with a few moist crumbs attached. Let cool in the pan for 10 minutes before removing the loaf to a wire rack on top of a baking sheet. FOR THE ORANGE SYRUP: While the loaf is cooling, stir together the orange juice and sugar over medium heat in a small saucepan. Stir until sugar is dissolved, and then continue to cook for 3 more minutes. Remove from heat. Use a toothpick to poke holes in the tops of the warm loaf. Brush the top of the loaf with the orange syrup. Let the loaf cool completely then slice and serve.